In 1918 on the 11th Day of the 11th month a ceasefire at 11am marked the end of WW1. I don’t want to become political with this blog but WW1 was a war (like many others) which saw the loss of too many lives. In England we wear poppies as our mark of respect to the dead, and to show that the ultimate sacrifice they made will always be remembered. However, it wasn’t only the British soldiers who gave their lives on Flanders Fields; I wear my poppy today as a mark of respect and remembrance to every soldier who lost their lives not only in the Great War but in any war. 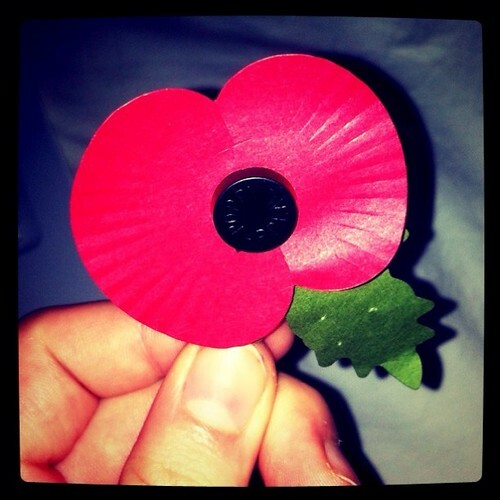 Please remember everyone whose lives have been lost in war today. Previous Post happy one hundred posts! Beautiful post 🙂 that last poem is so wonderful and so true. What a heartfelt day for remembrance of those lost lives. Thanks for sharing this meaningful post. Following you and thks for sending ur congrats in my blog. very sweet of u.